I'm currently on a bit of a spending ban. Last month I splurged on a few things - some of which I'd been wanting to get for months - so this month I've taken a step back from shopping. 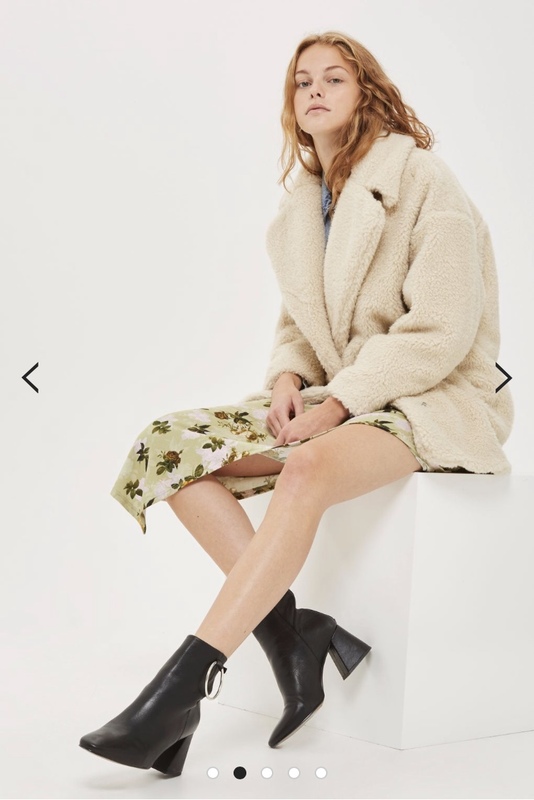 However, yesterday I had a look on the Topshop website and I got a little overexcited about the A/W clothing. 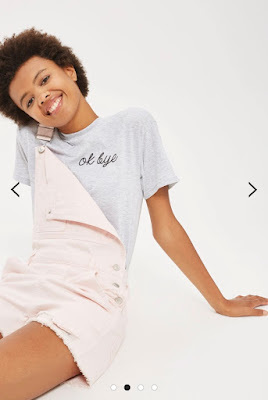 Therefore, instead of shopping, I thought I'd do another coveting post, dedicated to the beautiful range Topshop have at the moment. I'm sure a couple of these pieces will certainly be making their way to me in November. I used to be an absolute dress person. But in the recent years I've shied away from having my legs out and have generally preferred to just wear jeans. 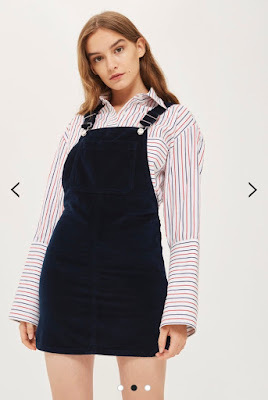 However, the pinafores Topshop have at the moment are THE cutest, and I'm really tempted to see how they would look on me. Sadly, the gorgeous velvet one would almost definitely come up too short on me (isn't the colour amazing though! 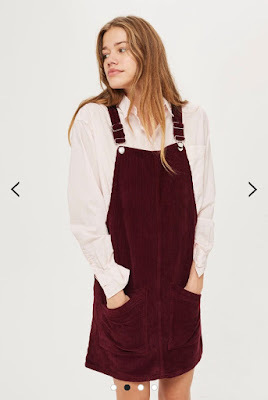 ), but this burgundy cord number is available in Tall, so when I ultimately make an order, I think this one will have to be in my bag. 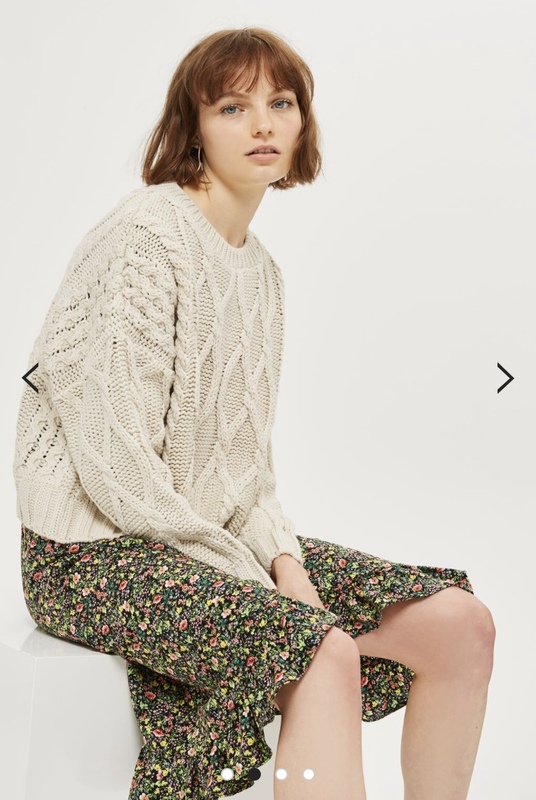 I love how jumpers look under pinafores and how easily they can be dressed up or down. Definitely a strong fashion staple for the season. 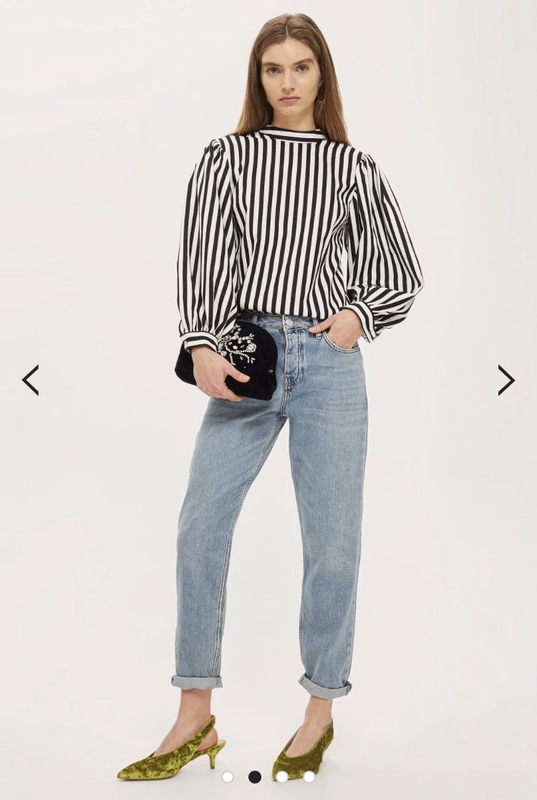 I am desperately trying to be more versatile when it comes to jeans. At the moment there are only two styles in the world I feel comfortable in, but I love how a lot of other jeans look. Therefore, like with the dresses, I'm hoping to branch out a little and try something new. I'm not sure how these boyfriend jeans would actually fit me, but I really like the shape and wash - a very light and autumnal blue, and a little baggier than I tend to wear, so I'd like to at least give them a go. 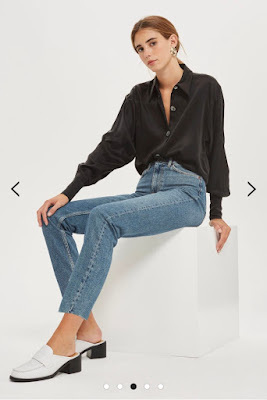 I love the fit of Jamie jeans and these, in a 'Winter Bleach' wash, are right up my alley. A duller blue denim that's perfect for the season (I know I'd like these already). 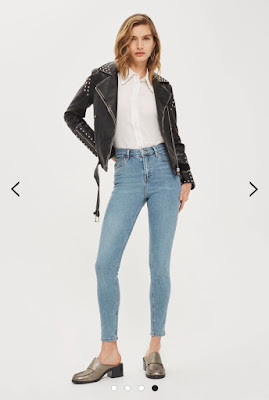 Lastly on the jeans front, is this straight leg pair. I love how these look on other people, so I think it's about time I tried them for myself. And another lovely blue wash. I am an absolute sucker for a cream jumper. There's something I love about how they look with my skin tone and can easily look both super smart and slouchy all at once. This big roll neck looks super cozy, and I also don't have a jumper with quite such an exaggerated neck, so maybe I can just about justify this one. The other I've picked out I have seen on every other blogger on instagram, but I love it. 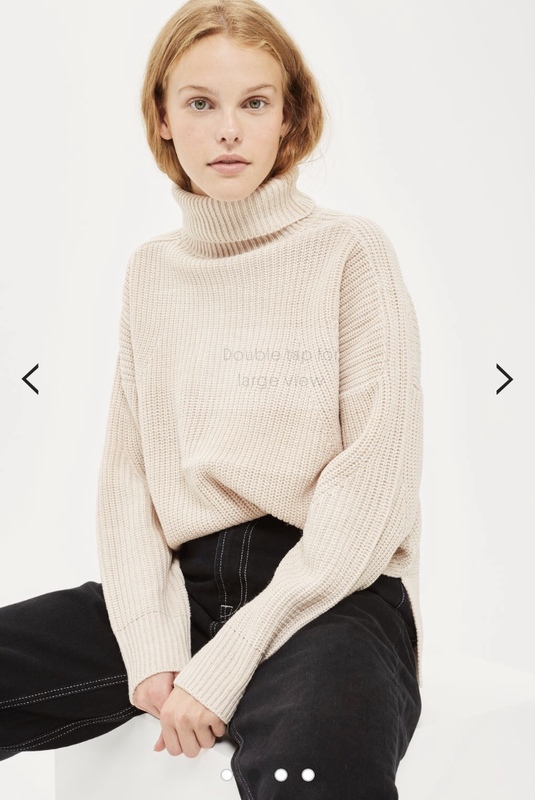 It's a great, slightly cropped cable knit, and despite being the most basic jumper, it's also the kind that everyone should have in their wardrobe. I'd be slightly concerned about how cropped it would look on my long body, but I wouldn't knock it without trying it first. 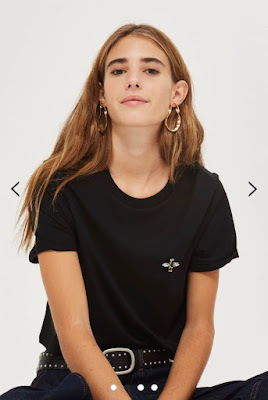 At heart, I'm a basic t-shirt and jeans girl, so naturally these simple but slightly quirky Tees jumped out at me. The little bee on this simple black t-shirt stand out to me so much. It brings a bit of character to a basic (and I also happen to be a major bee lover). And I love the 'OK Bye' embroidery on this grey basic. Again, subtly adding a little character without any loud pattern or overbearing logo. I'm pretty into short sleeve shirts at the moment. I like that they can smarten up an outfit really easily and without too much thought. 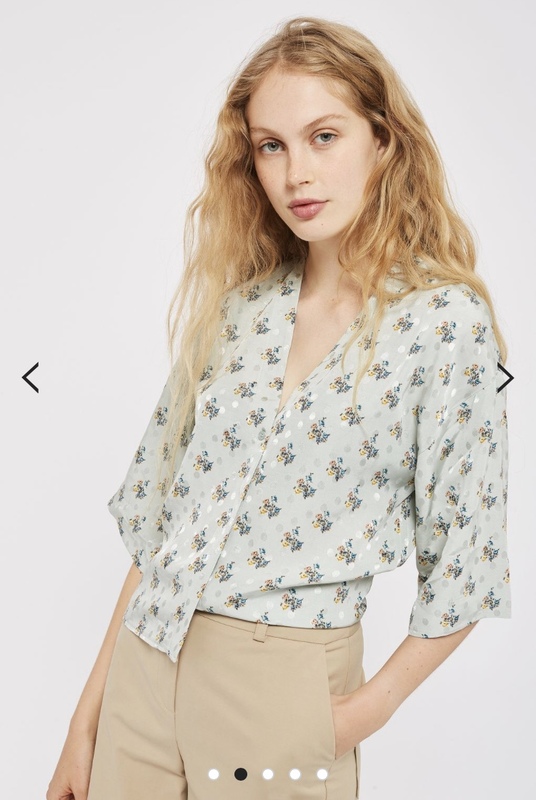 This pastel shirt has a sweet little pattern that gives it a bit of extra texture, and I love the loose, slightly draped sleeves. 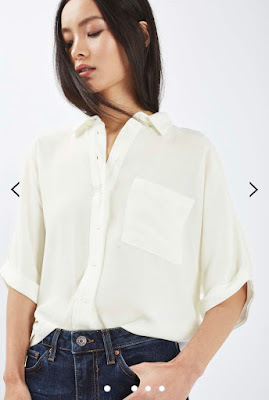 The other shirt that caught my eye is another short sleeved number, but this time a basic white one. It's simple, it's classic, it's something you can wear with anything. I've fallen a little bit in love with this Borg Coat. It looks SO warm and cosy, and I can imagine sauntering the Christmas markets adorn in it. I have a feeling it might end up making me look on the frumpier side, so sadly I have a feeling it wouldn't be for me in reality, but at least the thought of it makes me very happy. I also really like this khaki trench coat. It seems a flattering, classic fit and style, and one that can easily be made formal or casual. I kind of love it. 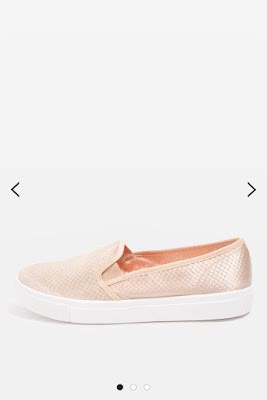 Shoe wise, I think these Peach Satin Slip Ons are so cool. Everyone I know seems to own a black pair of these and whenever I see them wearing them I think that I need them in my wardrobe. I love the peach satin on these ones though! 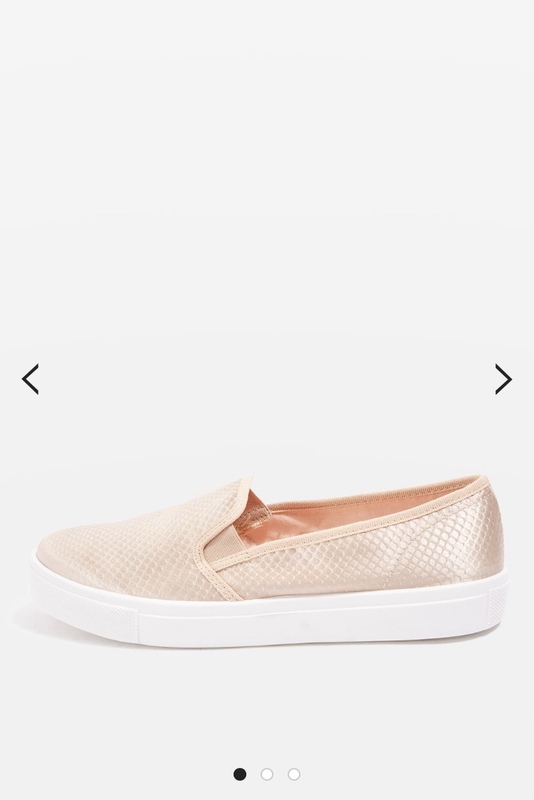 It's such a lovely take on a simple trainer, and I am very tempted by these. 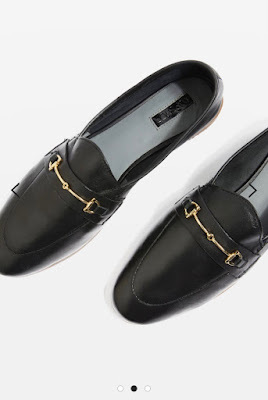 I also love these Loafers. A timeless shoe style, and one I dappled with a few years ago, but my pair had a poor sole and weren't very robust. So it may be time to get back into one of my favourite kinds of shoe. And these are a strong contender for the replacement. I've got a great, plain black cross-body bag that I use when out on errands and when I go out to dinner or to see friends. However, I've been thinking of spicing things up a bit with a slightly fancier, more stylish design. 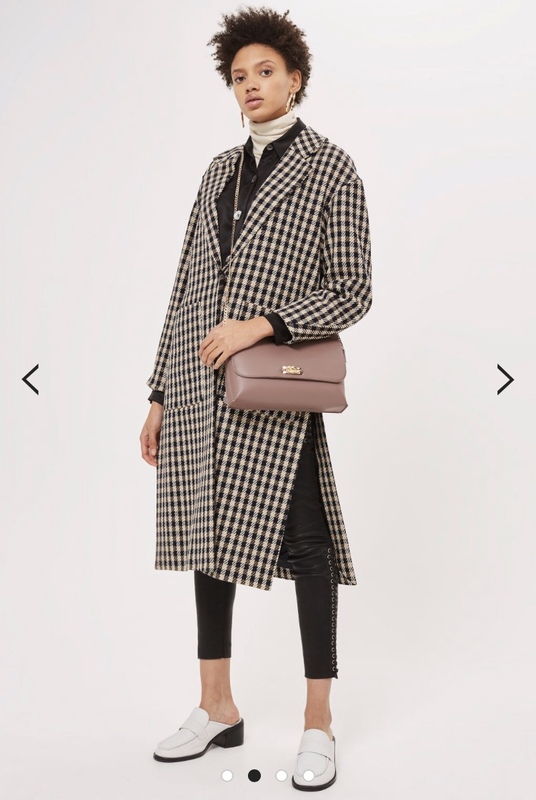 Topshop have this bag, another cross-body, in the most stunning plum shade, and I'm probably going to have to treat myself to it. 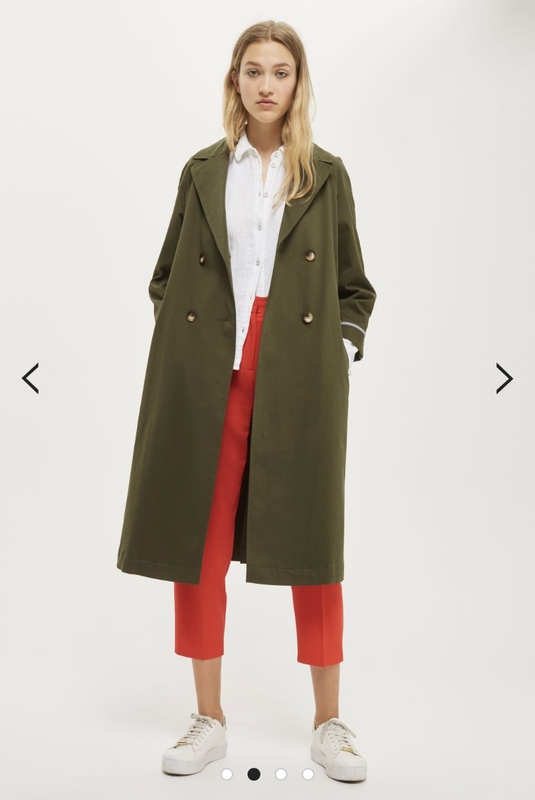 It's the perfect muted colour for the the winter and would easily match the majority of clothes I own. A great size and a beautiful bag. Another accessory find is this tasseled scarf, which is currently out of stock in the most divine burnt orange shade. 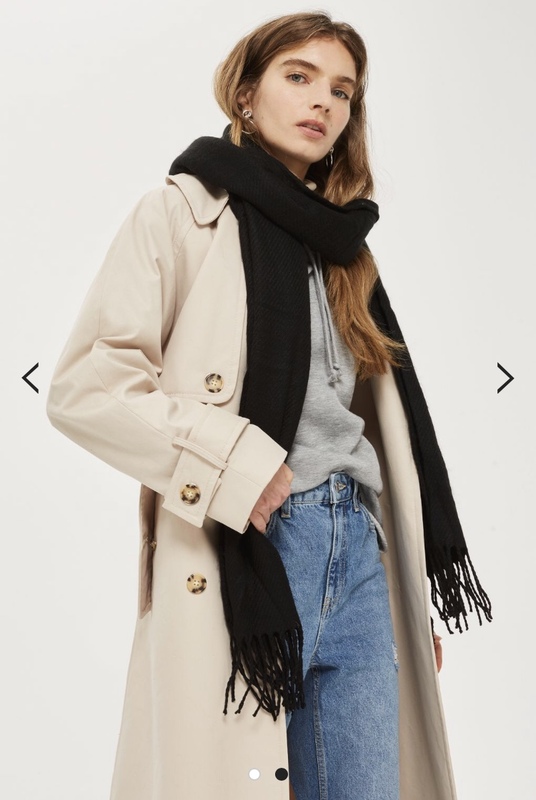 This is one of my favourite colours to wear and I think I would get so much use out of this scarf, so I'll be keeping an eye out for it to come back in stock. Lastly, I've realised my need for a winter hat. I seem to have become someone who gets cold very easily, and of course you need to keep your head warm to keep your body warm in turn. 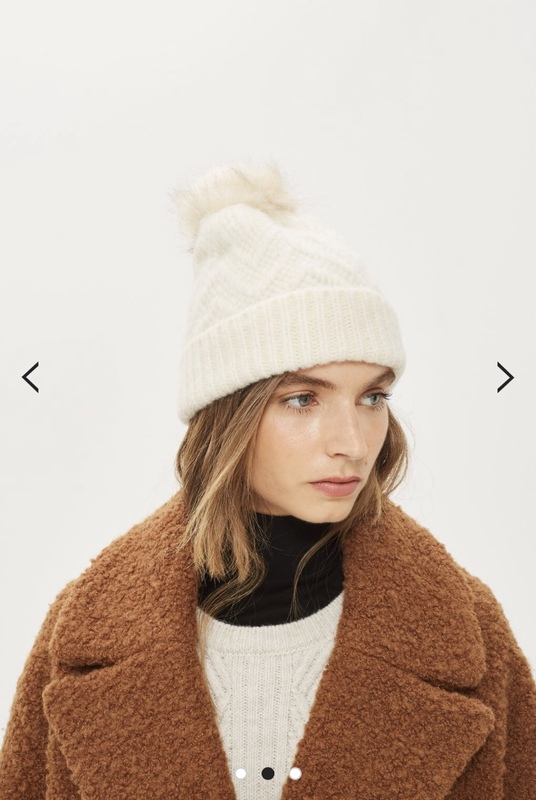 This cream bobble hat is simple but chic, and will be a necessary addition to my winter wardrobe. 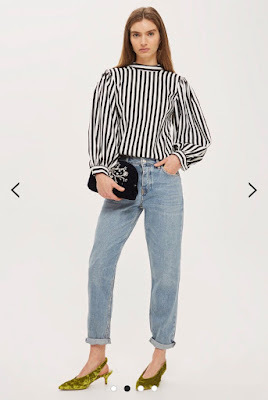 What are your favourite fashion finds from Topshop at the moment? Anything you loved that I missed?